What Is the Best Treatment for Cardiovascular Conditions? 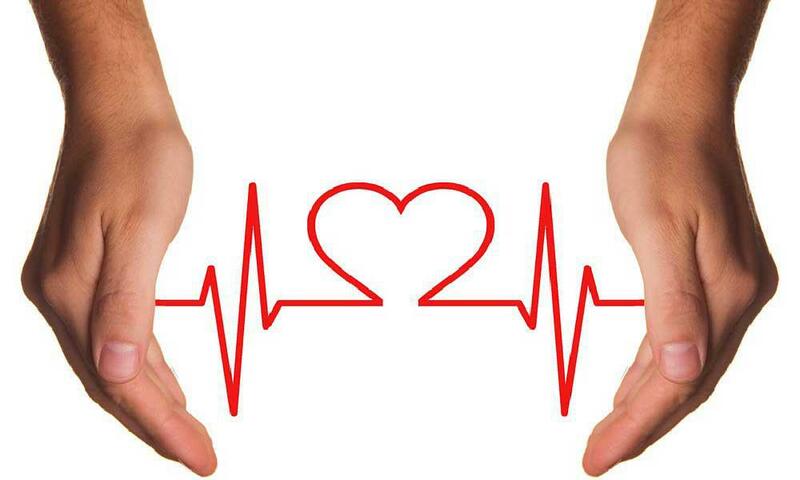 Advanced Health Blog What Is the Best Treatment for Cardiovascular Conditions? Always take care of your heart. Over the years there has been an emphasis on prescription drugs to treat heart disease. While this may be necessary for some, there is a tendency for it to be the only treatment sought, a magic solution in the form of a pill. However, the best treatment options for cardiovascular disease are integrative, holistic, and based on real lifestyle changes we all have the ability to make. The cardiovascular system includes your heart and all the blood vessels throughout your body that deliver blood to and from the heart. Cardiovascular disease causes structural and functional damage to your blood vessels, heart, and brain. This can lead to high blood pressure-induced stroke, heart attack, heart failure, coronary artery disease, abnormal heart rhythms, vascular disease, or a ruptured aneurysm. Even though cardiovascular conditions such as these are the leading cause of death in both men and women, it is equally crucial to know that heart disease is preventable. Certain risk factors make some of us more vulnerable to heart disease than others, but it’s never too late to take your health into your own hands! Common risk factors for developing cardiovascular disease are high blood pressure, high cholesterol, smoking (including second hand smoke), lack of exercise, sedentary lifestyle, unhealthy diet, being overweight, high fat (triglyceride) levels, diabetes, chronic kidney disease, family history of heart disease, and age. The older you get, the more likely you are to develop heart disease. Furthermore, depression can drastically increase your risk for cardiovascular disease and makes it harder to maintain a heart healthy lifestyle. Integrative treatment is the best way to help improve existing cardiovascular conditions, and in other cases, prevent its development in the first place. Research shows that living a healthy lifestyle that includes regular exercise and a nutrient-rich diet, along with no smoking, can dramatically lower your risk of heart disease. According to a 2016 study reported on by The New York Times, researchers found that although genes can double your risk of heart disease, a healthy lifestyle can cut that risk in half. They also found that leading an unhealthy lifestyle can erase around half of the benefits of good genetics. People who are physically active have a lower risk for developing cardiovascular disease. Getting at least 30 minutes of moderate physical activity five days a week is the foundation you need for a healthy life. Once you develop a routine, it will much easier to be physically active and do even more. Moderate physical activity includes anything that gets your body feeling warm, sweaty, and mildly out of breath. This can include going out for brisk walks, jogging, cycling, swimming, or dancing. However, studies suggest that doing more vigorous exercise will be better for your heart, so try pushing yourself once or twice a week and work up a bigger sweat than usual. Try to get into a good rhythm with exercise and make your lifestyle as active as possible. You can’t give up or take a break and still enjoy the health benefits of exercise. You have to be consistent! Eating healthy not only makes you feel good, it can reverse your risk for developing cardiovascular conditions too. It may be hard to change what you eat, but it only takes a month for your body and mind to adjust to a new routine and make it a habit. A heart healthy diet is rich in green vegetables, fruits, nuts, avocados, beans, high-fiber whole grains, and healthy oils (i.e., olive, avocado). More than 60% of your daily food intake should include leafy green vegetables. On the flip side, try to avoid potatoes and corn because they cause blood sugar spike, drain energy, and trigger inflammation. A good rule of thumb for any meal is to try to fill half of your plate with vegetables. 25% of your diet should come from beans such as lentils, split peas, moong beans, and chickpeas. The other 25% comes from mushrooms and whole grains such as millet, quinoa, red/brown/wild rice, barley, buckwheat, and amaranth. Blend healthy oils from olives, avocados, seeds, and nuts with your meals to help optimize the absorption of nutrients from food. When you are craving sweets, have a small piece of fresh fruit (not dried or as a fruit juice) eaten alone in the afternoon, and on an empty stomach. For optimal heart care, try to avoid dairy products, red meat, poultry, eggs, fish, flour, bread, alcohol, sugary foods and drinks. They don’t offer any nutritional value especially since your body cannot properly digest them. They instead cause a great deal of stress in the form of inflammation. Enjoy each meal by savoring every bite. Stick with having more warm, cooked fresh meals where you can take your time absorbing the nutrients and have just enough to still be slightly hungry at the end of a meal. Try to also consume most of your day’s food before sunset so that food consumption aligns best with when your body most needs energy. At the end of the day, you want to instead focus on getting sufficient quality sleep. Hence, try to fast for at least 3 hours before bed, and avoid electronics at least 2 to 3 hours before bedtime. Stress can wreak havoc on our bodies. Learning how to manage stress will help your emotional health, along with your heart. Some of the ways we choose to cope with stress, such as drinking, smoking or overeating, are often unhealthy and counter-productive. Recent research increasingly suggests that mind-body treatments can help certain cardiovascular conditions. These can include meditation, yoga, tai chi, and other relaxation therapies. According to recent research, heart patients that listened to music for 30 minutes a day had lower blood pressure, slower heart rates, and less stress than patients that were not exposed to music. Listen to music before bed or crank it up during the day and get your heart rate going with some dancing! Laughter and friendship are critical components of emotional and physical health. When we laugh, our blood vessels enlarge and increase blood flow with similar health benefits to aerobic exercise. The goal of integrative treatment for cardiovascular conditions is to adjust daily habits for a healthier lifestyle, relieve symptoms, prevent future complications, lower the risk of blood clots forming, and reduce risk factors so that the buildup of plaque is slowed down, stopped, or reversed. Some signs of cardiovascular disease to look out for are chest pain or discomfort, feeling a heaviness or squeezing sensation in your heart, shortness of breath, pain or numbness in the neck, upper back, arms, or sternum, and general weakness. Feeling any of these symptoms could be a sign that there is not enough blood or oxygen reaching your heart. Seek professional advice from a doctor at this time. There’s no magic pill to cure heart disease. The best treatment options for cardiovascular conditions is through lifestyle changes. Contact Dr. Payal Bhandari, M.D. for a personalized approach to preventing and treating your heart condition. Adopting a healthy diet and regular exercise routine that is personalized to you will drastically lower your risk of developing heart disease. At SF Advanced Health, we provides each patient with personalized dietary and lifestyle counseling along with optimization of medications to help patients effectively prevent and treat cardiovascular conditions.